The AP-20 Portable work platform with large standing area for working from side to side. Works great for along walls and windows. 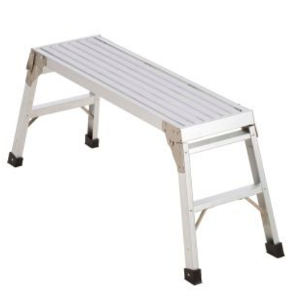 Platform legs lock securely in place when in use and fold underneath platform for compact storage. 225lb load capacity.